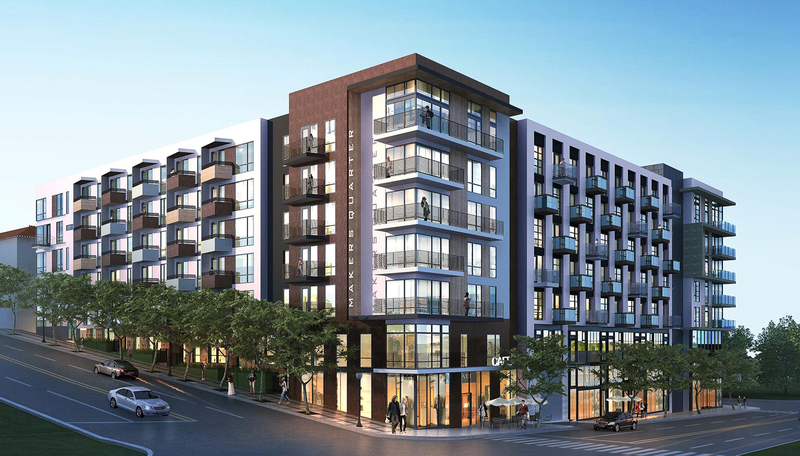 Makers Quarter is a development currently being built in East Village of Downtown San Diego. The fixer upper will feature an apartment complex, a commercial development, shops, parks, urban plazas, and community gardens! 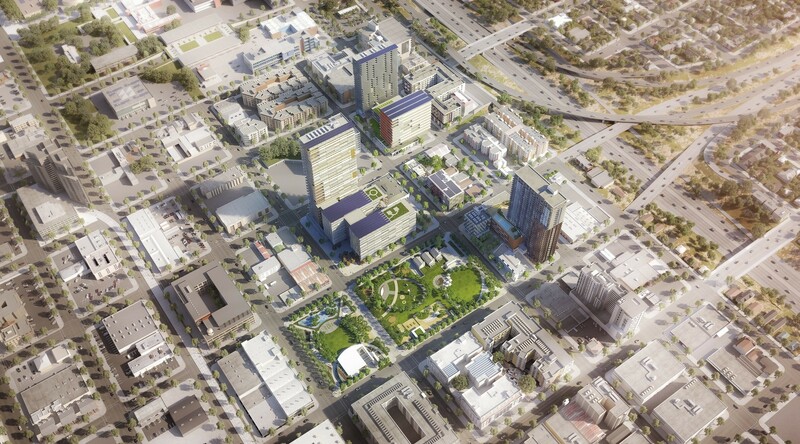 Makers Quarter will be a total revamp of the outskirts of East Village, overhauling 6 blocks from Broadway to G Street, and 13th to 15th Street. What makes the development so unique is that it’s target residents are single millennials. It features mostly one bedroom or studio options. What does the name mean? Makers Quarter is meant for, well…, the makers! The residential portion of the development is for the creatives, the artists, the intellectuals, the influencers. Different amenities in the condominiums include a luxury movie theater, a neighborhood grocer, a communal recording studio, pool, lounge, a communal greenhouse, and an art installation curated By Art Pusher. Apartment layouts include studios, 1 bedroom, and 2 bedroom floor plans to appeal to the single millennial or young family. One of the buildings is 34 stories tall, providing spectacular views of the city. 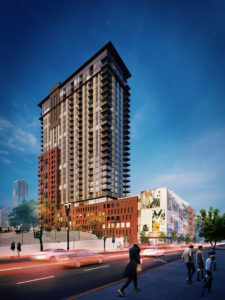 Streetlights Makers Quarter will include 295 apartment units, and Broadstone Makers Quarter will include 265 apartments. Makers Quarter understands that the apartments themselves are only half of the appeal. Millennials are moving to Downtown San Diego for the hipster culture, walkability, unique shops, nightlife, and all-accepting environment. Parts of Makers Quarter are already open to the public! 10 Barrel Brewing on 15th and E is a great spot to meet up with friends and enjoy a cold one. There is also an open, upstairs patio with incredible views. Sitting rooftop in the afternoon during the summer, you have to try the Cucumber Crush – it’s the most refreshing beer on the menu! 10 Barrel also offers a food menu with appetizers, salads, and what they refer to as “Pub Grub” such as burgers and pizza. The brewery’s food selection is surprisingly vast, and from what we’ve experienced and seen in reviews, they make everything quite perfectly. This spot is definitely worth checking out. The newest development that has opened its doors is Punch Bowl Social. The massive venue (once known as the Coliseum Athletic Club, a boxing match venue from the 1920s) now features multiple bars and a full kitchen that can feed 1,000 people at a time. Entertainment includes karaoke rooms, multiple bowling alleys, bocce ball, shuffleboard, foosball, vintage arcade games, corn hole, ping pong- you name it! Spend hours of fun all in one building. The venue is so large, they can host multiple events at the same time. Punch Bowl has coined the term “eatertainment”: eating delicious food while being completely entertained from arrival to leave. 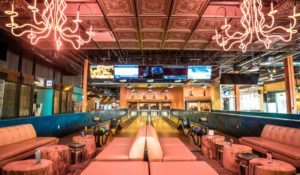 The decoration is unlike any other venue: diner booth seating, neon light chandeliers, a plethora of different wallpapers, and industrial flair. It’s easy to see that every element of their design is extremely intentional, and somehow, all of these very different pieces work beautifully together. 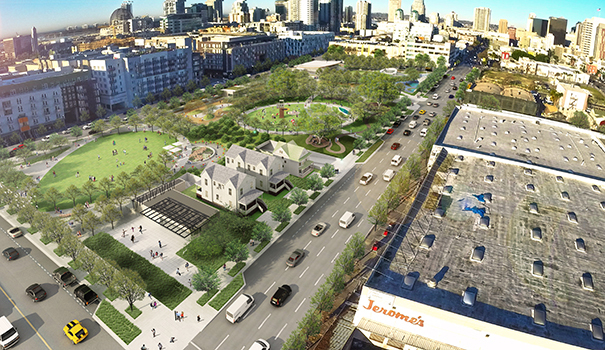 Have you ever thought, Downtown San Diego could use its very own Central Park? If so, we have amazing news for you! 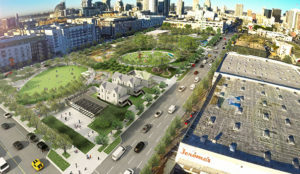 Makers Quarter will include East Village Green, a beautiful park for the community. The park will span from 13th-15th, F-G Street- it’s going to be huge! Plans for the project include a community center, basketball half court, off-leash dog parks, food truck parking, walking paths, a water display for little ones to play in, and lounging areas. 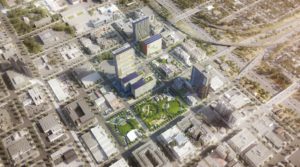 Downtown San Diegans will be able to bring along their four-legged friends and picnic supplies to enjoy sunny afternoons roaming over 4 acres of paradise- we can’t wait! The plans include lots of trees, providing abundant shade on those hot Southern California afternoons. 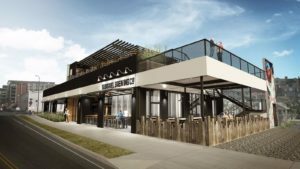 East Village Green will be the catalyst in creating a laid-back vibe in a current culture of fast paced and competitive people. If this sounds right up your alley, we encourage you to take the leap and move to the buzzing Downtown San Diego area- you won’t regret it! This is our PSA to all who who happen to love Downtown San Diego culture! 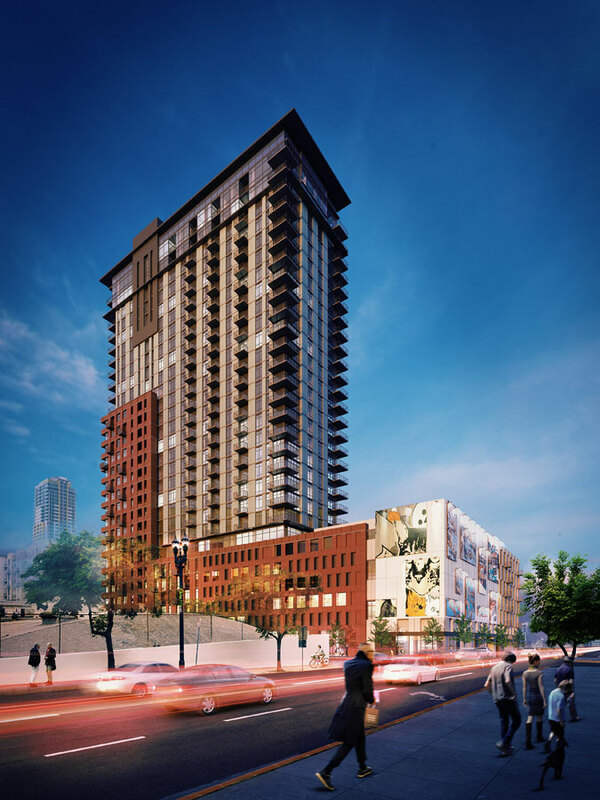 This urban utopia is expected to be completed in 2019, but if you want to rent or purchase in East Village and take advantage of the future development, make the call now! For any questions regarding the Downtown San Diego layout, lifestyle, or making the move, feel free to contact us at 619-825-1974.